Key difference: Federal government is run by different states making the whole economy of the country. A national government just refers to the country’s central government. 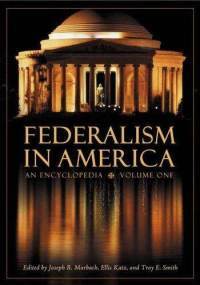 Most do not know the difference between federal and national, as both terms are used to refer to similar things, i.e. national/federal government, national/federal offices, national/federal agent, etc. A simple way to distinguish is to understand that a federal government is a type of national government. It is a government which is run by different states making the whole economy of the country. National has a greater scope relating to the county as a whole. A national government just refers to the country’s central government. The definition of a federal government states that is a political entity characterized by a union of partially self-governing states or regions united by a central government. In this type of government, the individual governments of states and territories form an alliance and run the country. The federal government may or may not share these responsibilities with a central union government. Usually in this format, each state is run by its own government and representatives of these state, then participate in the central government. They represent the interests of the state and its citizens. Examples of this sort of government include the United States of America, Mexico, Australia, Canada, India, etc. 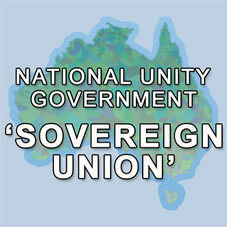 A national government could be federal in nature, a mixture of central and federal, or completely central. A national government is responsible for the country as a whole. It has to keep in mind the interest of the citizens, its states and territories and the country’s political, social, and economic needs. The central government has the power to make laws for the whole country. It is responsible for the country’s national safety and for dealing with other countries, by maintaining international diplomacy, and signing treaties. The national government is top supreme authority in the country. Some examples of a national government which do not incorporate a federal government include, People’s Republic of China, Denmark, France, Georgia, Spain, etc. The terms ‘federal’ and ‘national’ can also be used as descriptive terms. ‘Federal’ may be used to describe an alliance or treaty among countries, states, provinces, cities, etc. It may also refer to an alliance to form a league, such as the Fédération Internationale de Football Association (International Federation of Association Football), etc. ‘National’, on the other hand, can be used to refer to something related to the country, such as the national flag, the national anthem, a national (a citizen), national affairs, a national park, national customs, national pride, etc.